These homemade cookies are so good, they should be illegal. Although, everyone would be breakig that law if they were illegal. 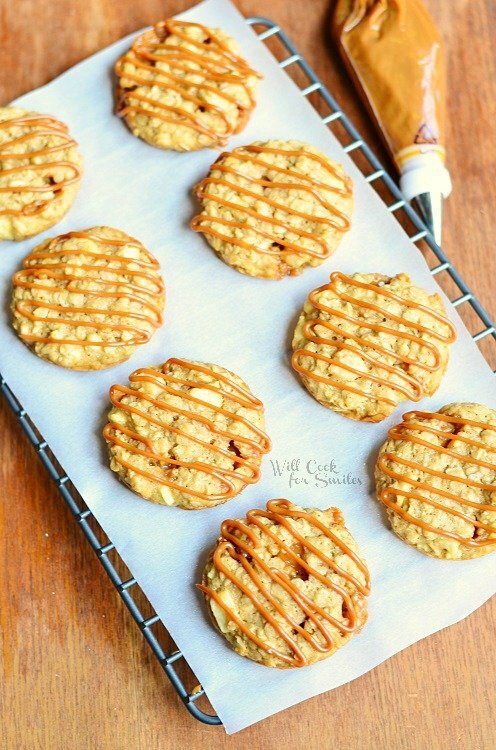 These are soft oatmeal cookies made with apples, chewy caramel chunks, and drizzled withn Dulce de Leche! Perfect fall cookies, YUM! These cookies quickly became known as “crack cookies” at my house. They are extremely addictive and you can’t just have one at a time. First day that I made them, I told hubby to try the new cookies when he came home from work. He walk into the bedroom finishing the cookie and said that it was really good. I told him to feel free and have more (the more he eats, the less I will) and he said that it was his fourth!! How in the world did he manage to eat four cookies in less than a minute, I will never know. Hiding them doesn’t work either, you will frantically look for them with shaky hands! Addiction to these cookies is serious and lasting. It’s been two days since we finished the cookies and we are feeling the withdrawals. 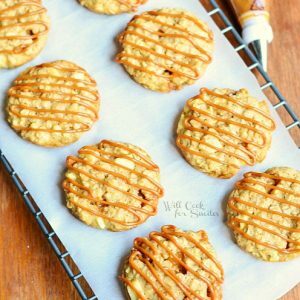 Oatmeal cookies are already boys’ favorite, adding apples, Werther’s chewy caramels and Dulce de Leche shot it to the top of the charts. 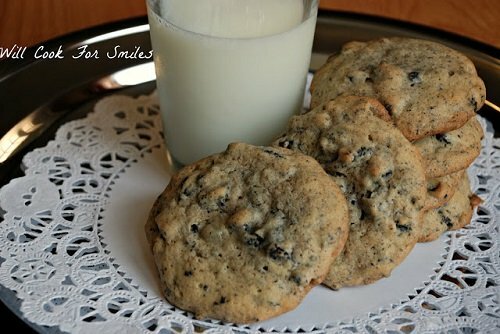 The only way for me to convince you just how delicious these cookies are, is to tell you to make them now! Go, go, go! 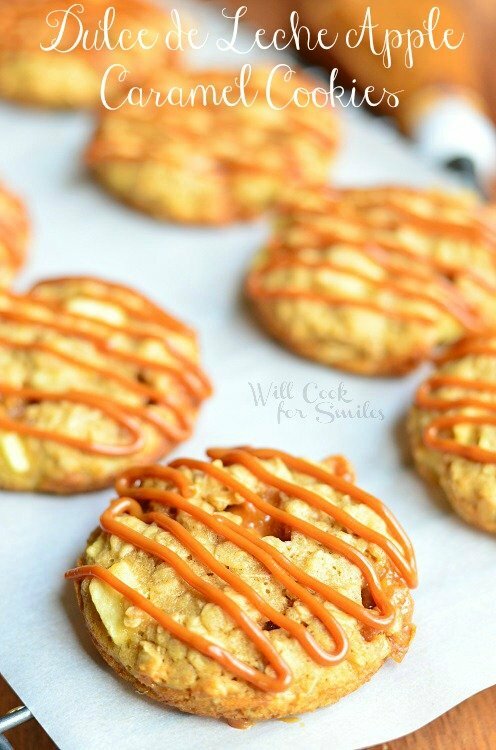 These are soft oatmeal cookies made with apples, chewy caramel chunks, and drizzled withn Dulce de Leche. Beat the butter and sugar on medium speed until creamy. Beat in the vanilla. Add flour, baking soda and salt, mix until just combined. Add the oats, mix until just combined. Fold in the chopped caramels and chopped apples until evenly spread throughout the dough. Bake for 9 to 11 minutes. Let the cookies set in the pan for a couple of minutes. Be careful taking out the cookies as the caramel gets sticky. Line the cooling rack with parchment paper and very lightly grease it. 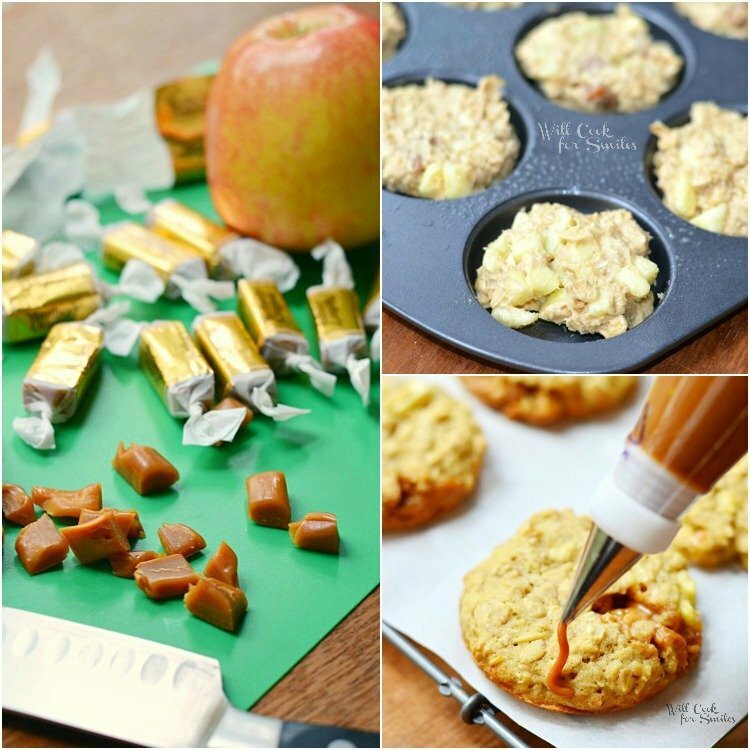 (It will be easier to pick up the cookies as the caramel gets sticky.) Transfer the cookies onto the cooling rack. Cool the cookies. 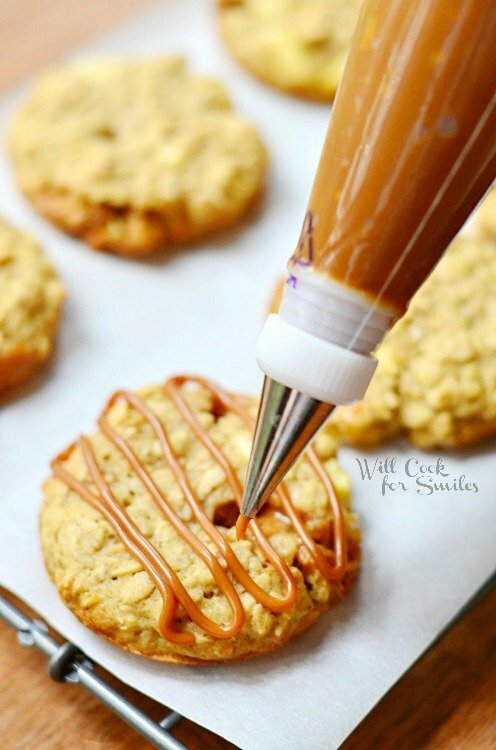 Place Dulce de Leche in the piping bag with a #4 attachment and drizzle it onto the cookies. Hey, They sound soooo good, any left for the babysitters? Thank you so much, Liz!! I don’t mean to be stupid here but where is the recipe for the frosting? Hey Deb! So sorry for the late answer! It’s actually Dulce de Leche. You can get in at most stores, usually right next to condensed milk. 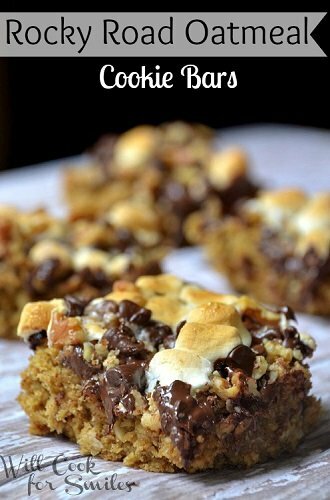 Love oatmeal cookies…and this is a creative way to make them! You just rock, girl! Pinned. Lyuba, these sounds SO GOOD! I need them in my life immediately. Thanks so much for sharing them at Saturday Night Fever! You really do, Andi! Thank you so much! I love anything with dulce de leche. Have you ever made it from scratch? I have twice, once successful, the other not so much. This post reminds me to try it again. Oh good gravy Lyuba! 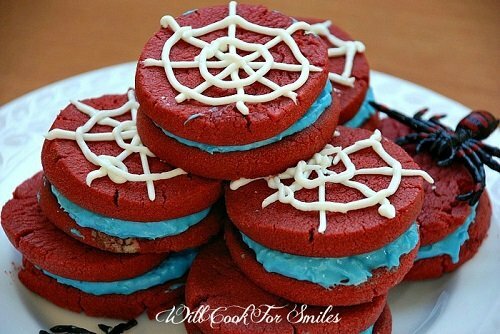 These look devine! Totally pinning! Thank you so much, Bonnie! They really are incredible! Best cookies ever! With that drizzle, how could I resist?! Awww, I can’t disagree because they really were! Thank you, Chung-Ah! 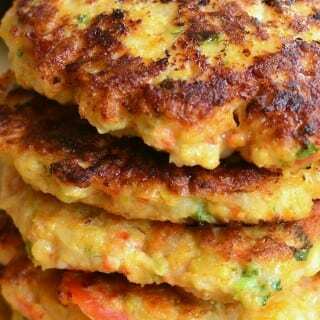 Yumm….must try this out very soon. Pinning it. You definitely do, Ellya! Thank you! 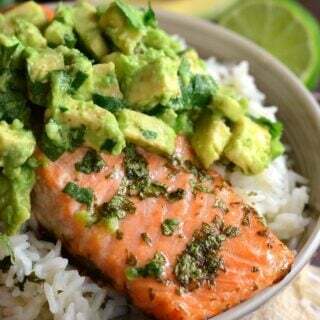 so yummy looking featuring this one too! Thank you so much, Marissa! 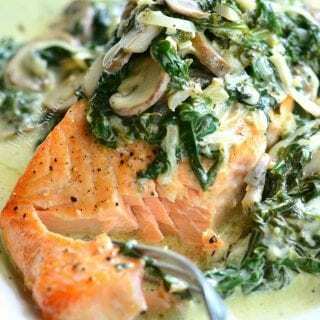 Thank you for featuring both of my recipes! These look absolutely fabulous. Great idea with the flavor profile. Beautiful pictures too. Thank you so much, Jodi! These cookies make me want to be your new best friend. We would love to have you share with us at our weekly Super Saturday Link Party. 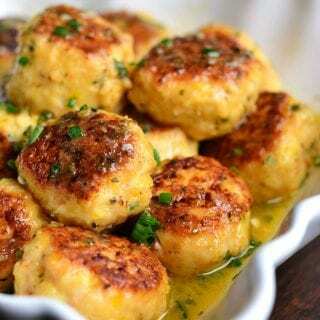 http://www.madefrompinterest.net/2013/10/super-saturday-link-party-13/ Your recipes and ideas would be a hit with our crowd. It would be our honor to have you join us! 🙂 Thank you so much, Sherri! These look ahhhh-mazing, lady!! Let me grab some milk and I’ll have one or ten!! Recipe for Dulce de Leche icing? Can someone help w/this? It’s usually right next to the condensed milk, at the store! They were insanely addicting! Thank you, Kristen! YUM! I just got a box from Werther’s with their baking caramels I may just have to try these out they look delicious! That is the plan, Lisa! Thank you so much! these taste really good. i love the oatmeal with the apple and caramel flavors. however, the caramel WAS super sticky and like half of my cookies crumbled into pieces when i tried to get them off the cookie sheet since the caramel was still stuck to the pan and the oatmeal part is super soft. i made some other caramel apple cookies last week, which were nasty, but they did have a good idea to use toffee pieces to get the caramel flavor. i will try that next time since the recipe is great otherwise. So glad you found something you liked! Enjoy! Remember, if you are concerned about the caramel sticking to pan and paper, substitute the caramel bits (that you can find in the baking isle)! I was wondering if there is an error in the instructions where it states to beat butter and sugar “over medium HEAT (? )” until creamy. Is this recipe to be made on the stove? Oh, haha, yes that’s a mistake! It’s meant to be “on medium speed!” Thank you. Hey no problem! Just wanted to be sure before I went ahead and made them on the stove and ruined them. 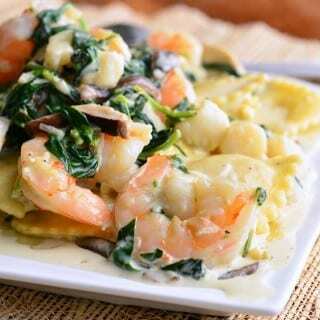 I am new to your site, must say everything looks really good and I will enjoy making many of your recipes. Thanks for getting back to me so quickly. 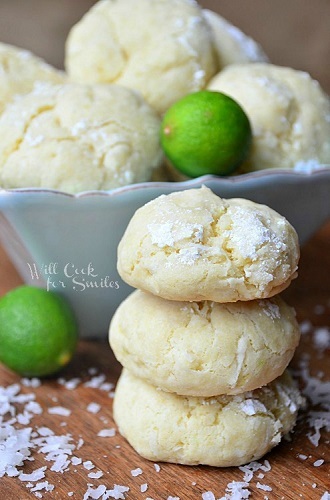 I am sure we will connect again soon once I make these amazing looking cookies!! That is so sweet of you! Thank you, Terry! I hope you enjoy everything! Thanks I was wondering about that. I looked at them in the store the other day and was wondering if they would be as good as cutting up the Werther’s. That is the easier way for sure and if the recipe is still just as good with the little caramel balls, hey! I will opt for the easy way 🙂 I will let you know how they turn out. 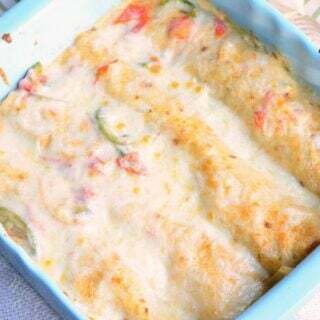 I will be making then next week. 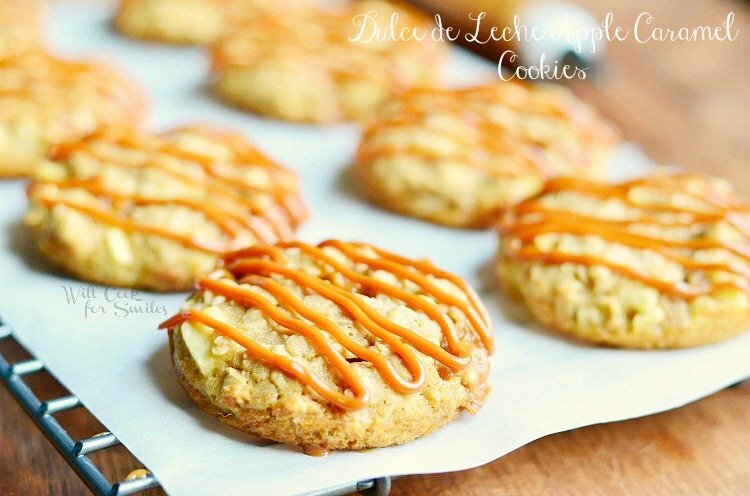 Well I got around to making the Dulce de Leche oatmeal cookies this evening. Mine do not look like yours at all. They are rounder and much darker than the pictures. Can you tell me what I did wrong. Followed directions to a “t” but didn’t get the results I was hoping for. Baked them 10 mins because the centers looked unbaked at 9 mins and didn’t dare let them to 11 mins or they would be darker than what I got. I wanted to give these away looking as gorgeous as yours…:( Did you by any chance flatten them before going into the oven? I am trying it on my last batch just to see if they do better. They do taste good though :)! !